I’m coming up to a year of blogging (well, in August), and I’m quite surprised how much I've learned in this first year! When I first started, I had no idea what I was doing, or what was going to unfold for me. Going through old posts, I can see how my style is evolving, and it just makes me wonder where I'll be in another year's time! 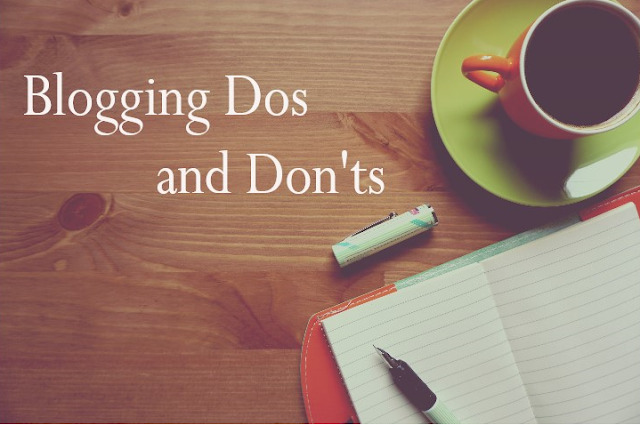 One of my favourite types of posts to read are blogging help posts, and I thought it might be useful for some to share my Dos and Don’ts of blogging that I've learned over the past year.